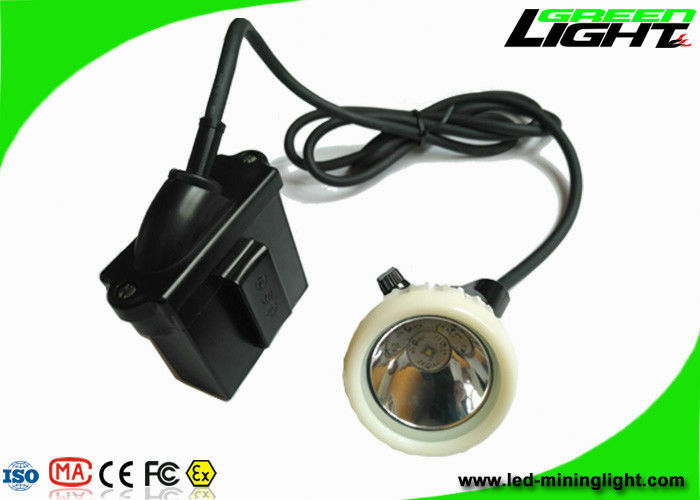 GL5-B cord miner cap lamp uses 3W high power CREE white led as main light, 6pcs SMD leds as the backup lights, and designed with high property 6.6Ah rechargeable Li-ion battery. 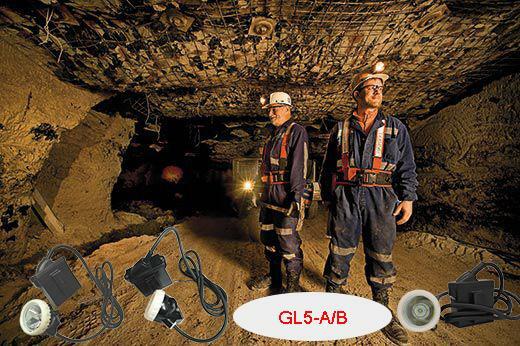 GL5-B mining cap lamp has 10000Lux strong brightness, long lighting time, long life time, high intensity, light weight, low usage cost, and high safety. This lamp uses our new designed reflector, and the lighting spot is stronger to reach longer lighting distance and wider lighting range. 10000lux high beam corded lamp. One main light with six auxiliary lights. 1.2meters, 1.4meters, 1.6meters cable length all available. Two light source. You can rotate the switch button on the lamp head to change from the main light source to secondary light source or turn off the lamp. charging protection: anti-overcharging, current control, short circuit protection and anti-overheating. This cap lamp is explosion-proof, water-proof, protection in electrical short-circuit,automatic power- off on the socket, 100000hrs led lifetime. All our mining safety cap lamps lamps has one year warranty. We will keep free maintenance for you in one year. It is suitable for mineral industry, tunnel projects, construction and maintenance for power, communication, highway, railway at night, night lamp for cutting off rubber plant and absorbing mucus and for lighting a flood, rescuing and marine use. Patrolling, overhauling and emergency in electrical power company, platinum, coal, gold mine and so on. GREEN LIGHTING ELECTRONICS CO., LTD. is an expertised manufacturer of explosion-proof mining lamps which located in Shenzhen area in China. Our factory has skilled experience in underground working lamps development and production. GREEN LIGHTING focuses on the development and innovation. We pay more attention to great quality, also have established our own marketing department for foreign business. Miner safety cap lamps, explosion proof flashlights, led high power flash lights, led search lights, explosion-proof led strip lights, charger racks.